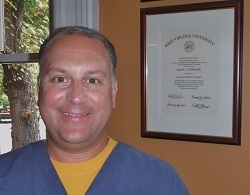 Dr. Dan is a lifelong resident of Pittsburgh, graduating from Chartiers Valley High School. He received his Bachelor of Arts in Biology from the Eberly College of Arts and Sciences at West Virginia University and his Doctor of Dental Surgery from the West Virginia University School of Dentistry. Dr. Dan has practiced in the Pittsburgh area for over 20 years, establishing his practice on Pittsburgh's Northshore in 2003. Dr. Dan strives to provide his patients with the most appropriate and current dental therapies. He places great emphasis on staying abreast of the lastest advances in dentistry and regularly participates in continuing education endeavors. 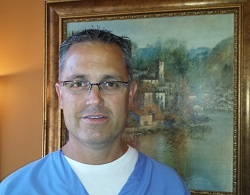 Dr. Dan enjoys travel, cooking, exercise, boating, and WVU Athletics. Dr. Dan is a member of the Academy of General Dentistry and Pennsylvania Academy of General Dentistry. Eric is a lifeling resident of Pittsburgh, graduating from Pine-Richland High School. He received his Bachelor of Arts in Business Administration from Robert Morris University. Eric is a caring and dedicated professional with outstanding communication skills. He strives to ensure that the needs of our patients are met with ease and efficiency. Eric is always available to assist you in understanding your insurance benefits and your payment responsibilites. 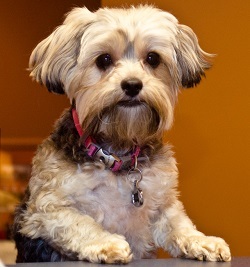 She's the princess (and the boss)!